Recently, Blackout Design was in touch with Richard “Lee” Powers III, a recent Marywood grad and 1st place winner at the Great Valley Technology Alliance 10th Annual Entrepreneurship Institute, to help create a new website for his business: customizable turkey calls. 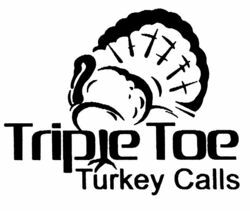 A few short weeks later, we had the design nailed down, the ecommerce site built and like that, Triple Toe Turkey Calls was live. If you’re in the market for handmade, custom turkey calls, stop over and see what Lee can do for you!